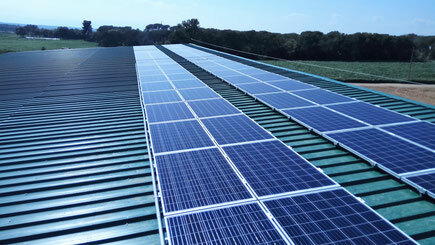 Self-consumpton solar PV plant of 9.75kWp in a School. 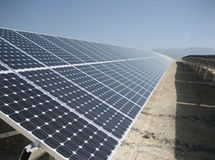 DESCRIPTION: Solar photovoltaic plant working in self-consumption mode, made of 30 PV modules of 325Wp and a 9 kW inverter. A yearly renewable energy yield of 14.800kWh is expected, which implies 1400€ of yearly savings and means an annual reduction of 6.7 tons of CO2 emissions. 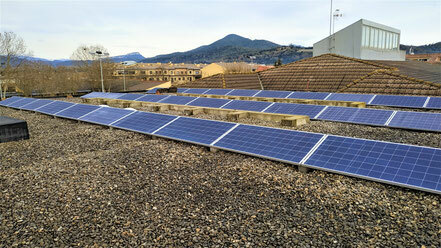 22kWp Solar PV self-consumtion plant in a cheese factory. 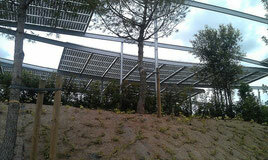 DESCRIPTION: Photovoltaic solar self-consumption plant made up of 80 solar panels, with a total power of 22kWp. 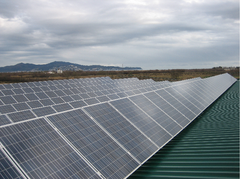 The plant supplies up to 32.000 kWh/year from solar energy, which means 3.200 € of potential savings each year. In addition, the potential avoided CO2 emissions are 13,600 tons per year. 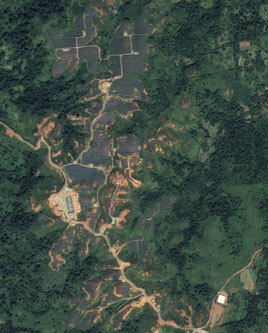 DESCRIPTION: PV Solar park on a 50 Ha mountainous terrain, with a total power of 60 MW. 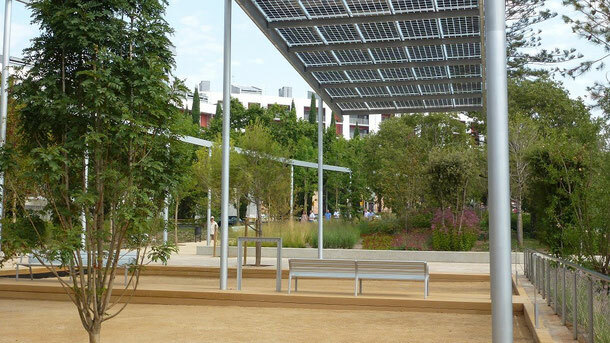 The design is made up of 22 plants with a unitary power of 2,000 kWp/ plant. Estimated annual production of 90 GWh. DESCRIPTION: PV Solar pergola made up of 252 panels of 270 Wp, translucent type. Nominal power of 60 kW. The estimated annual production is 72 MWh, same as CO2 emission savings of 34,6 Tn. DESCRIPTION: Solar PV power plant connected to grid, made up of 42 plants with a unitary power of 100 Kwp. Estimated annual production of 6,3 GWh. DESCRIPTION: Solar PV power plant connected to grid, made up of 11 plants with a unitary power of 100 Kwp. Estimated annual production of 1,5 GWh. DESCRIPTION: Power plant made up of 10 solar trackers of 2 axis, with an unitary power of 9,9 kW, total power of 100 kW. Estimated annual production of 195 MWh. 100 kW PV power plant on the roof of an industrial building. DESCRIPTION: 100 kW Power plant made up of 484 panels of 220 Wp. Estimated annual production of 140 MWh. 5 kW PV power plant on a house roof. DESCRIPTION: The power plant, located in Palau neighbourhood, was installed on the roof of a house. 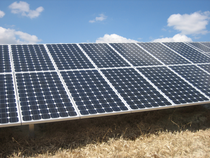 The systems is made up of 72 panels thin layer type with a total power of 5 kW.